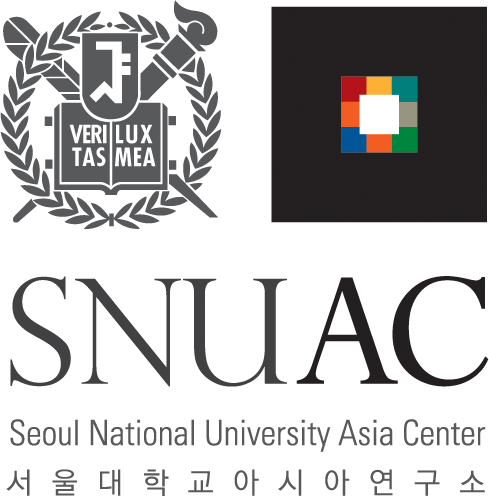 On last Tuesday, December 9th, the 1st Joint Academic Conference of Seoul National University Asia Center “Asian Studies of SNUAC” had taken place. 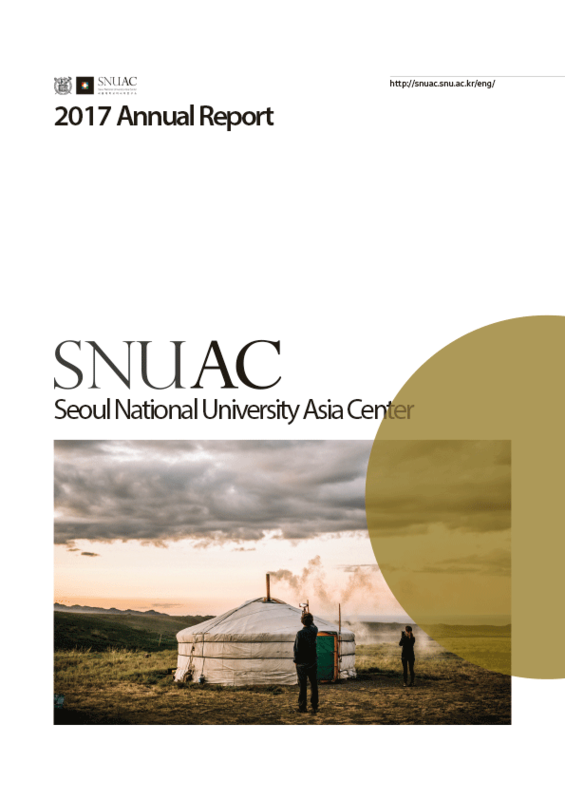 The conference was organized to reaffirm the identity of SNUAC as an academic hub for Asian studies that have integrated regional and thematic topics. 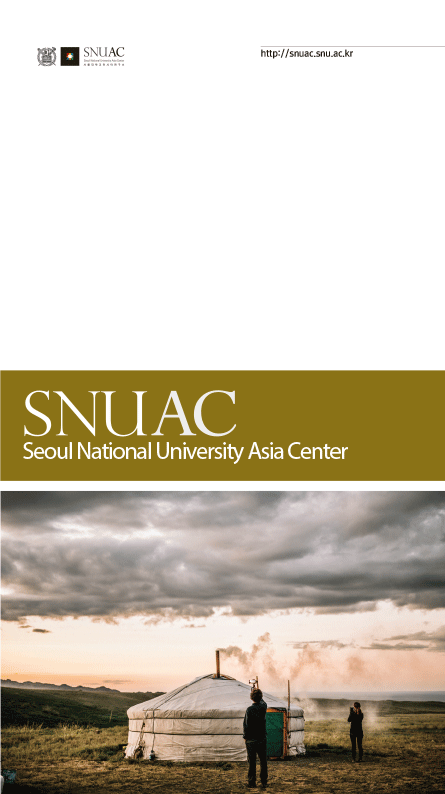 SNU Asia Center is a place where researchers of various disciplinary and research topics are gathered together on the common foundation of ‘Asia.’ As a research institute that encompasses diverse regions and topics, continuous suggestions had been raised about the need to create an opportunity to share all the research outcomes and research topics of the members of SNUAC. As the first initiative to fulfill such needs, various thematic research programs, such as Risk Management, Democracy and Economic Development, Civil Society, and Asia Census have participated in the conference, in addition to two regional research centers, Northeast Asia Center, and Southeast Asia Center. Through this opportunity, the members of research programs were able to share their successes in their studies, and promote further development of research. The presentation included two field trip experiences to Kinmen (or Quemoy Island) and the research results collected from the field studies. Professor Jung had introduced the topic of establishment of the ‘front line tours’ in Quemoy Island from ‘cold war scenery’ perspective. He had pointed out that the research serves as a part of Cold War Division in East Asian studies, as well as a research on historical changes of East Asian ocean and islands, thus, merits attention from both East Asian maritime boundary studies of SNUAC, and from the Cold War / End of Cold War studies of Northeast Asia center. After 1949, Quemoy Island had become a forefront of national military confrontation. Consequently, the regional economy of Quemoy Island had become militarized. However, when the period of military relaxation has arrived, the regional economic structure that had been highly dependent on military spending had to face difficulties. The second session of research presentation was prepared by the Southeast Asia Center. It started with Dr. Lee, Yohan of Southeast Asia Center, delivering his studies on “The Profits from the Mekong Water Resource Development, and the Conflicts and Controversial Issues on the Main Actors in the Cost [of Mekong Water Resource Development].” Dr. Lee had discussed various characteristics of profited stake-holders from the development of Mekong River. He pointed out the realities of power imbalance in the profited entities and cost entities. Dr. Lee asserted especially on the fact that the development theory and power has taken over environmental issues on the dam on the main stream of Mekong River for the moment. He urged that there needs to be a new governance that can reasonably divide the profits and the costs of development. The ongoing studies under the Risk Management program can be categorized into 1) Conflicts in International Trade and the Order, 2) Studies on the International Development of Technology and Patent Related Issues, and 3) Studies of International Trade Standards related to Technical Barriers. However, the presentations delivered on the conference were primarily focused on the research results of the studies on the Changes of Safeguard Measure (SG) system, and the changes of its main user nations. First, Professor Kim, Eui Young and Professor Miura Hiroki introduced “The Meanings and Tasks of Korea-China-Japan Social Economy Mapping.” Professor Kim emphasized that social economy can be a solution to the limited roles of government and the private sectors in social service delivery. 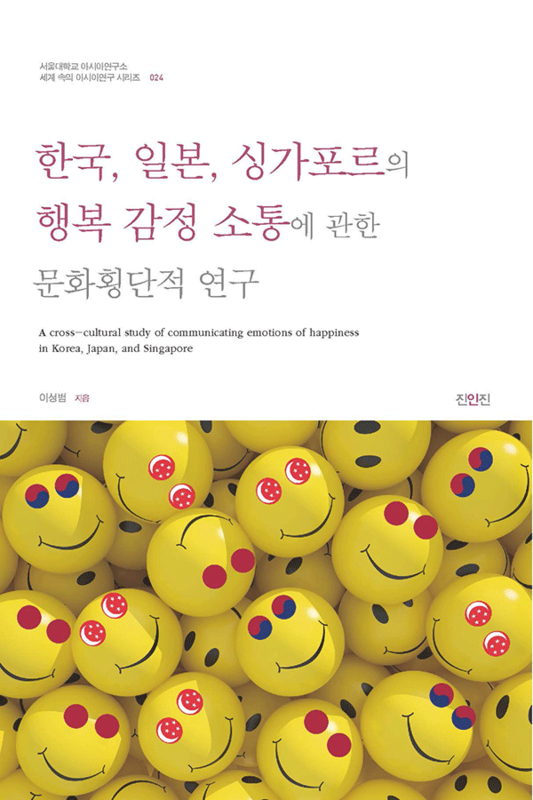 Kim also added that the comparative studies of Korea, China, and Japan can be used to discover theoretical and practice implications through the mappings of principle/fundamentals of formation of economic organizations in each countries, directions of businesses, and etc. Dr. Kong, Sukki delivered a presentation on “Social Economic Participation Tasks for Korean Civil Society: Restructuring the ‘Maeul’ Community.” The feasibility of the development of regional civil society into ‘social enterprise’ as a core of the social economy was discussed. He explained that the major focus of ‘social enterprises’ in Korea has been the government-driven projects and programs. He specifically pointed out that the problems raised under the previous government-driven projects and programs for social enterprises is that they merely served to support the rearing of social enterprises without the involvement of the effected communities and its people. 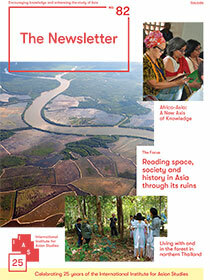 The communities and the people who are most influenced by the social economy had been neglected. Kong demanded that new alternatives should be sought, and he suggested restructuring of the ‘maeul’ communities as one way to resolve the problem of inclusion of the community and its people. The last session was prepared by Asia Census Program. First presentation was prepared by professor Park, Won Ho, of Asia Census Program and described his studies on “Data Curation: Cases of K-poll.” Following presentation was by professor Kim, Chung Taek, explaining his research on “Eccentricity of Asian Creativity.” Kim had examined various indicators for national comparisons on the creativity, Moreover, He concluded that found out that Asian countries are strong on vertical creativity, but weak on horizontal creativity. According to Kim, a cultural atmosphere that accepts diverse values should be generated in order to develop horizontal creativity. And the outside human resource input should also be increased in order to cultivate the diversity in Asian societies. The First joint Academic Conference of SNU Asia Center was meaningful in that it provided an opportunity for the members of the research center to share their on-going research topics, and to understand the work of other members of the research community. Free discussions followed the presentations from each regional centers and thematic research programs. It served to foster better understandings of each other. Kim, Min Hwan, a participant of the conference commented that “there are so many different research centers and programs in Asia Center, but there aren’t enough opportunities to get to know each other because everyone has busy schedules. The conference offered the researchers a chance to share their research interests, and it served to create a ground for information exchange and future cooperation between the researchers with common interests.” “As a researcher I am very pleased to meet the other researchers,” he added. 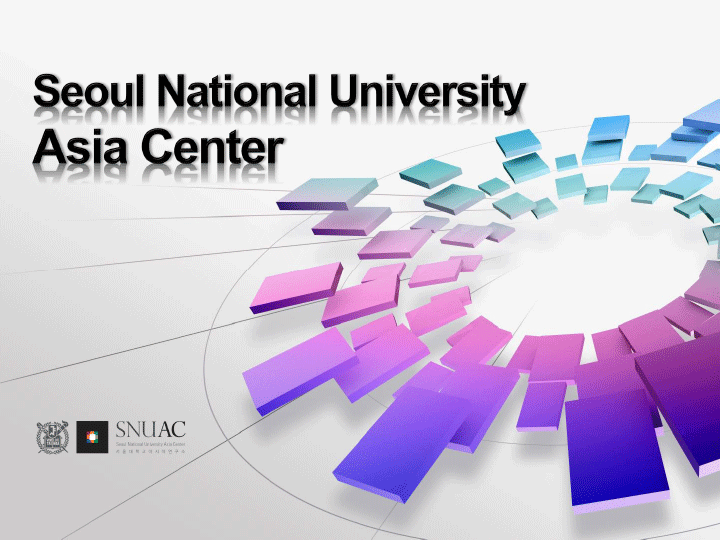 Director Kang, Myung-gu, have stated that, “internationally acknowledged research outcome only comes from the concentration of internal capabilities of the research institute, which can be reached by strengthening of mutual communication.” He promised that the grounds for academic exchange for the members of Asia Center would continuously be developed.